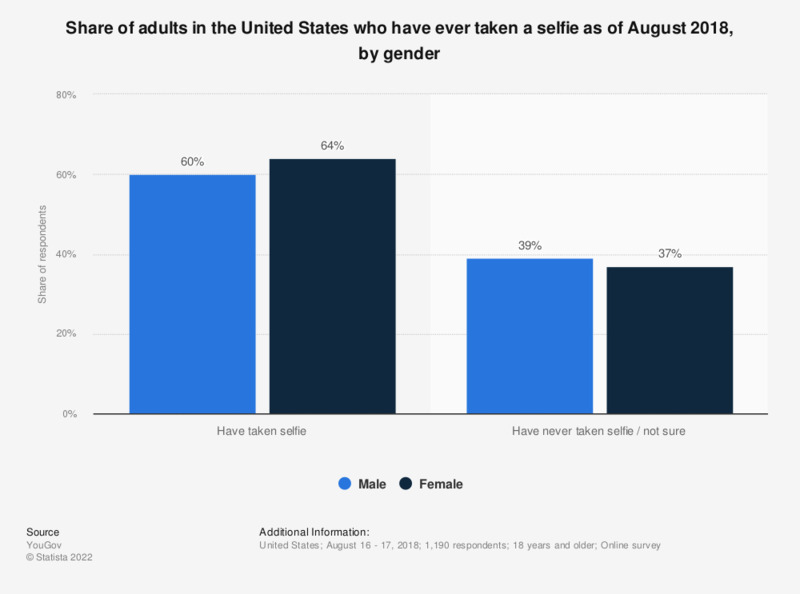 This statistic shows the percentage of U.S. adults who have taken a selfie as of August 2018, sorted by gender. According to the survey, 60 percent of U.S. male adults had taken a photograph of themselves, while the same was true for 64 percent of females respondents. Question: The Oxford English Dictionary defines 'selfie' as a photograph that one has taken of oneself, typically one taken with a smartphone or webcam and uploaded to a social media website. With this definition in mind, how often, if at all, do you generally take selfies? Respondents stating very/somewhat often, and not very often, excluding never/not sure.